Brigade commander and chief of staff of 42nd “Rainbow” Division; theater commander in WWII; accepted Japanese surrender September 2, 1945 and subsequently supervised occupation; commander of United Nations forces in Korea until relieved. Served as corpsman at Mte. Pasubio and chaplain at Bergamo military hospital; beloved Pope who convened the still-controversial Vatican II Ecumenical Council. Commissioned in both army and navy to supervise communications operation; Nobel Laureate for development of wireless telegraphy. Decorated for service on Western Front as a messenger, mainly in Flanders; wounded & gassed; leader of Nazism; Führer of Germany, 1933-1945; suicide 1945. Served on five fronts during the war; earned Orden Pour le Mérite at Caporetto for daring assaults during the Battle of Caporetto; legendary WWII commander of Afrika Korps; forced to commit suicide due to his support of anti-Hitler plot. Served with 35th Division AEF during opening of the Meuse-Argonne Offensive; 33rd President of the United States; authorized use of atomic bomb to end WWII and the containment strategy followed by the United States throughout the Cold War. After recovering from 1914 wound made rapid advances in responsibility, finishing the Great War as Chief of Staff of 47th British Division; most honored British commander of WWII. Wounded three times and was eventually captured at Verdun. Tried to escape five times; led Free French forces in WWII; provisional president of France, 1945-46; first president of Fifth French Republic. 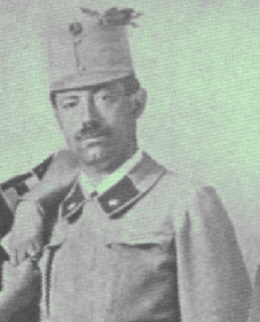 Wounded on the Italian Front near the Piave River in 1918; the Great War influenced many early works including A Farewell to Arms and The Sun Also Rises; Nobel Prize in Literature 1954. 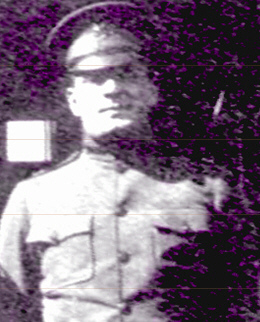 Commanded key 19th Division in defense of Gallipoli; prevented rout of Turkish Army during retreat from Syria; founder and first president of the Turkish Republic. Ace with 22 victories; succeeded Richthofen as commander of Jasta 1; early Nazi leader and high state official; Luftwaffe commander; committed suicide in 1946 after conviction for war crimes before and during the Second World War. After the failure at Gallipoli, commanded 6th Battalion Royal Scots Fusiliers, on the Western Front; World War II prime minister; Nobel Prize in Literature 1953. Served in the front lines in the Isonzo Sector, 1915-1917; discharged after suffering severe wound (possibly in an accident); founded Fascist Movement; led Italy to disaster in WWII; executed by partisans in 1945.